Digital Collections Services fosters and supports the development of digital projects for Indiana University (IU) librarians, faculty, students, and staff, and collaborates with internal and external units and organizations on digital scholarship initiatives. We provide digital library services including workflows and tools for the creation, curation, and publication of digital content. We also offer consultation across all areas of digital project development, including digitization and digital project planning, as well as organize training and outreach opportunities as part of the IU Libraries’ Scholars’ Commons. Visit our current consultation schedule or our about page for more information. Whether you are seeking to organize your personal collections or need to identify appropriate standards and tools for metadata entry, the Metadata Services team is happy to consult with you. Digital preservation services provided by the Libraries include file and media migration, file format recommendations, and overall project guidance. Media Collections Online (MCO) provides online access to audio and video collections held in IU libraries and archives, as well as for select scholarly projects both inside and outside the University. 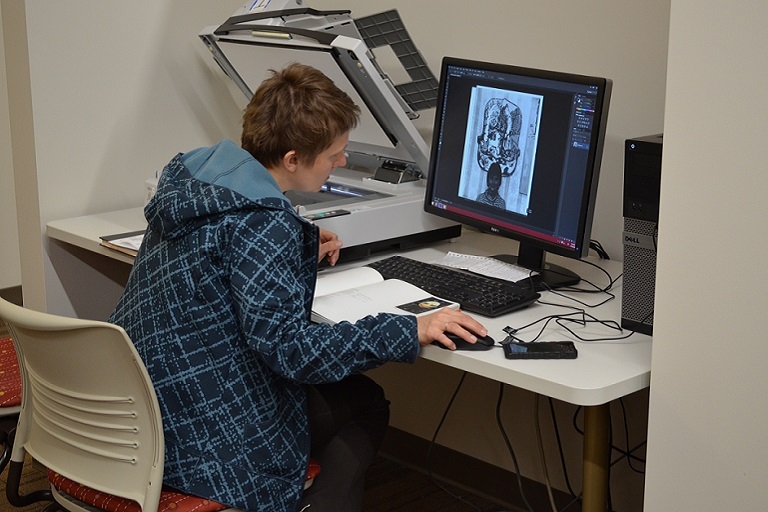 Archives and Special Collections Services support flexible encoding practices and enable direct access to digitized materials in numerous collections. Our internal, full service production lab is dedicated to the digitization of materials from IU Libraries’ special collections, affiliated archives, and cultural heritage organizations on the IU Bloomington campus. We can provide guidance and support in content selection, needs assessment, financial planning, copyright research, data curation, digitization, metadata, text encoding, and other factors involved in developing a digital project. If you are scanning a book or serial that is out of copyright, we want to know! It could be added to the Indiana University Digital Library. We provide consultation, training, and Web publishing expertise for the creation of electronic text resources for IU Bloomington. Collections managers from any IU library, archival repository, department, museum, or other cultural heritage organization may submit a request to set up a digital image collection within Image Collections Online. The Libraries can help you get started. The Scholars' Commons Digitization Lab is a high-end multimedia, multidisciplinary self-service lab dedicated to the digital conversion of materials, and the management and migration of born-digital objects in support of research needs and interests of Indiana University Bloomington's faculty and students. Digital collections available at Indiana University. Brown Bag presentations focus on local practices and emerging trends, and are intended to encourage participation in digital library and digital research projects and initiatives. 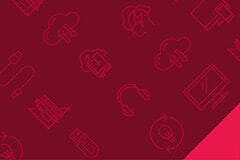 List of local and remote training opportunities for digital project development. Explanation of internal and public-facing digital library digitization services. Instructions for how to use the equipment to digitize materials including document, slides, film and negative scanning as well as audio/video digitization and conversion. Staff members from the Digital Collections Services department will hold regularly scheduled consultations in the Scholars' Commons. The Digital Collections Services (DCS) department fosters partnerships that often provide opportunities for innovation, which extend the Libraries’ technical infrastructure, services, and in some cases, digital content. 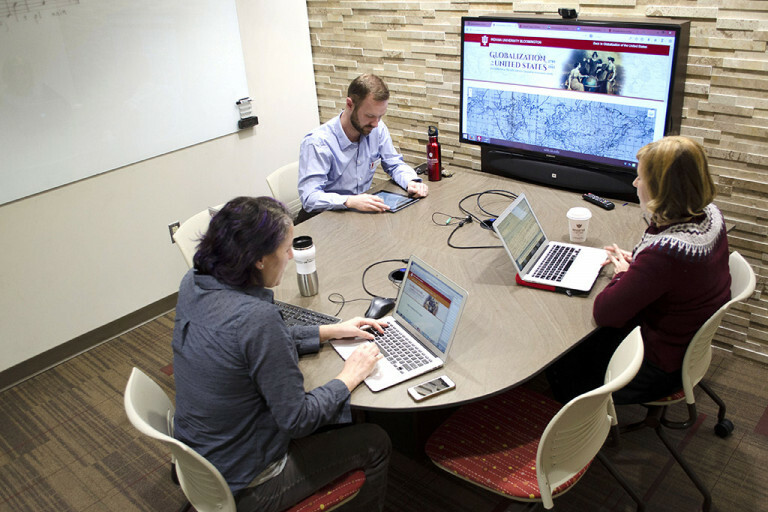 We connect multiple units and people across the Indiana University Libraries and Indiana University (IU) Bloomington, as well as other IU campuses, by providing consultation and services for the creation and dissemination of digital special collections and digital research projects. Visit our current consultation schedule. We are actively engaged in outreach within the IU Libraries and the Bloomington campus as well as at national and international conferences pertaining to the use of technology as a significant mode for digital scholarship and inquiry. Since 2003, we have been coordinating the Digital Library Brown Bag Series, which continues to cultivate interest from IU affiliates and beyond. The series originated with a focus on digital libraries – standards, tools, and trends in the field – but has since expanded to include all areas and topics relevant to digital scholarship, including digital humanities and open access publishing. The Brown Bag Series focuses on local practices and emerging trends, and is intended to encourage participation in digital library and digital research projects and initiatives. These presentations are broadcast online so anyone with Internet access can participate. Visit the Digital Library Brown Bag Series schedule for more information. 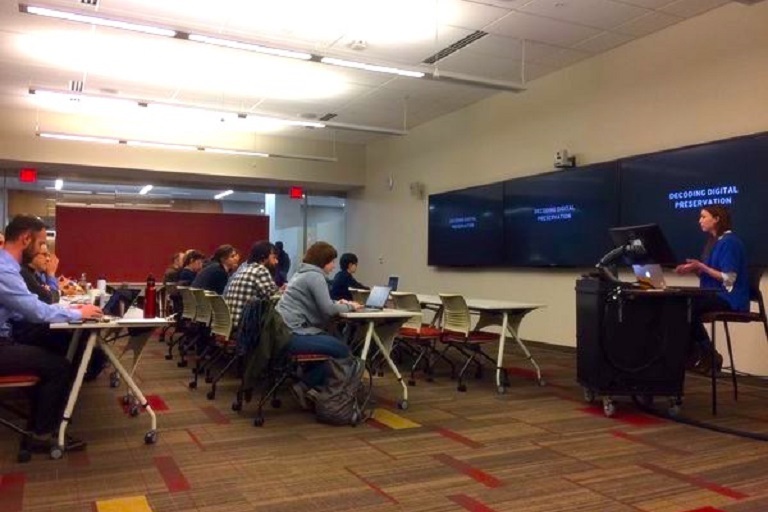 In addition to the Digital Library Brown Bag Series, DCS also coordinates and leads various training and outreach opportunities as part of the IU Libraries’ Scholars’ Commons. If you are interested in presenting in our Digital Library Brown Bag Series or are interested in organizing a workshop around a particular topic, please contact Nick Homenda, Digital Projects Librarian, Digital Collections Services.